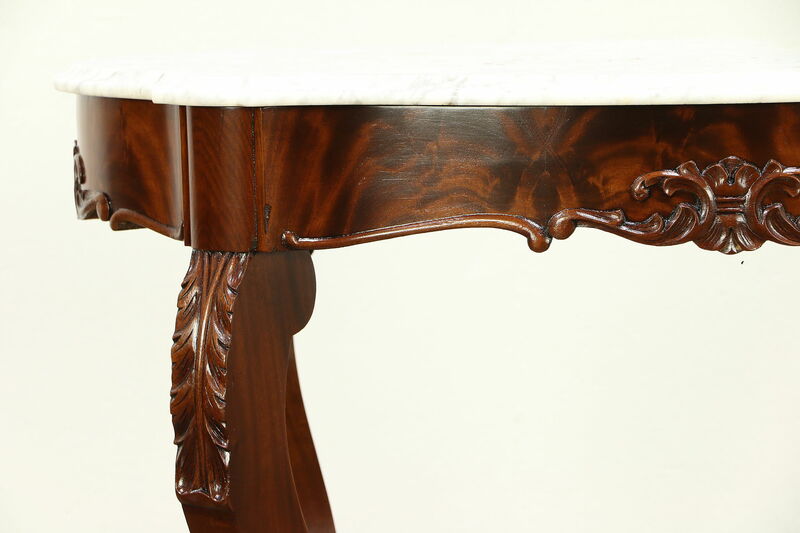 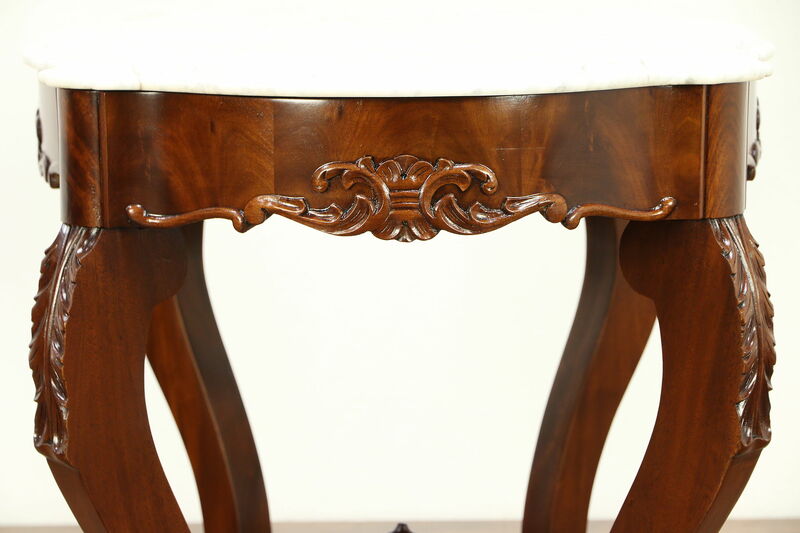 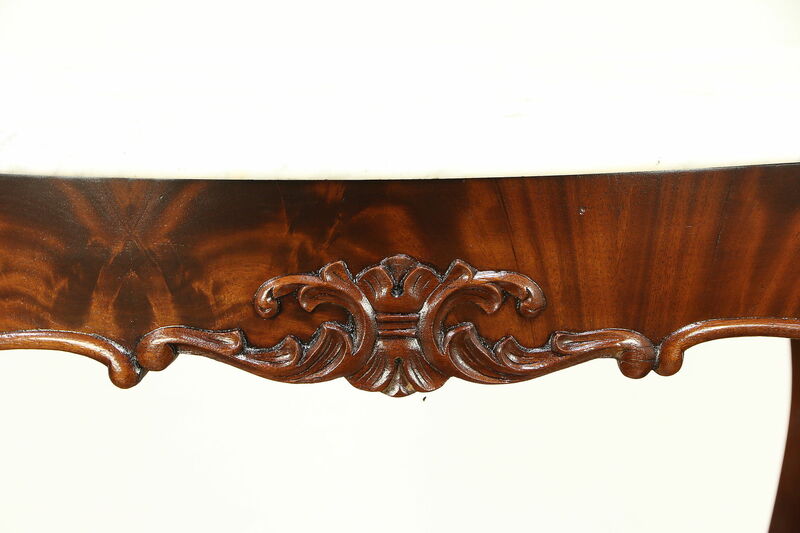 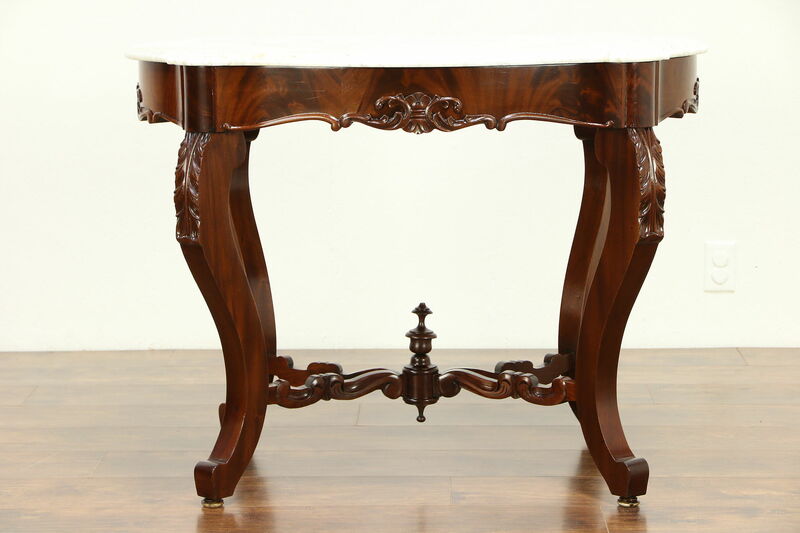 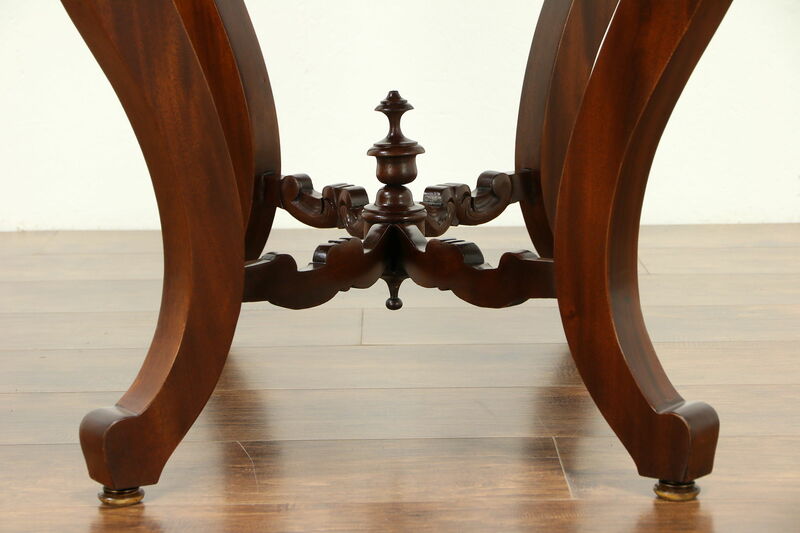 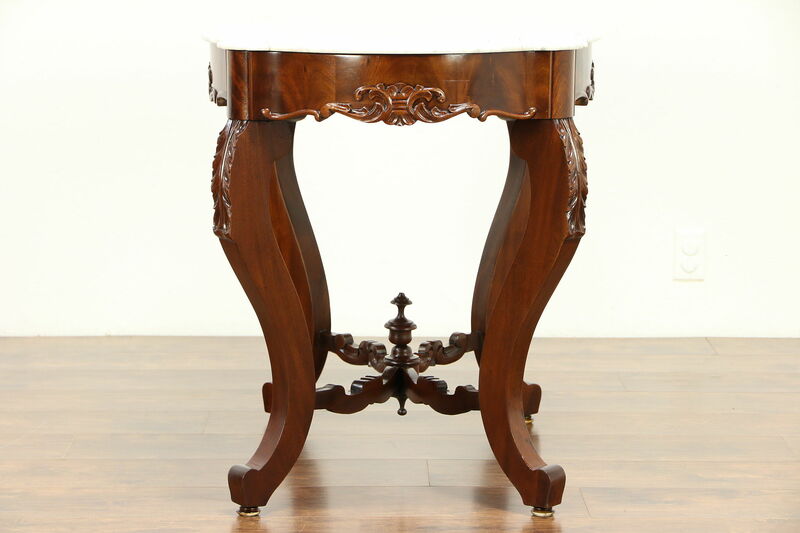 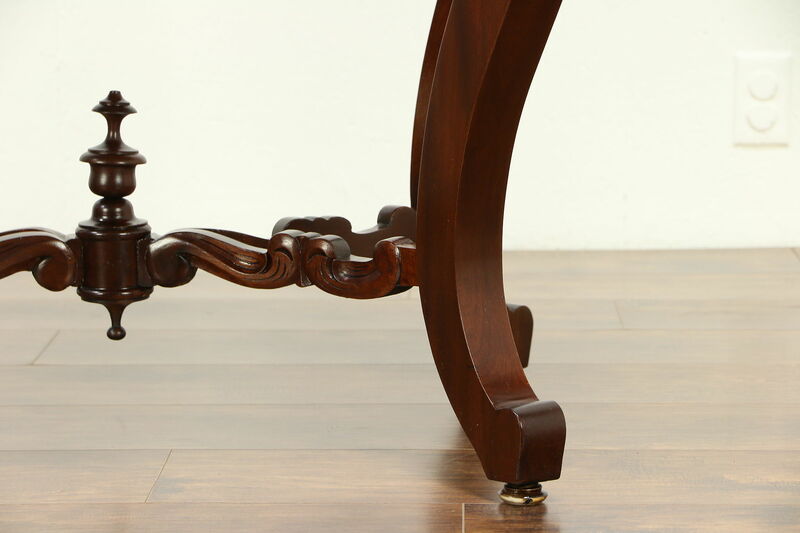 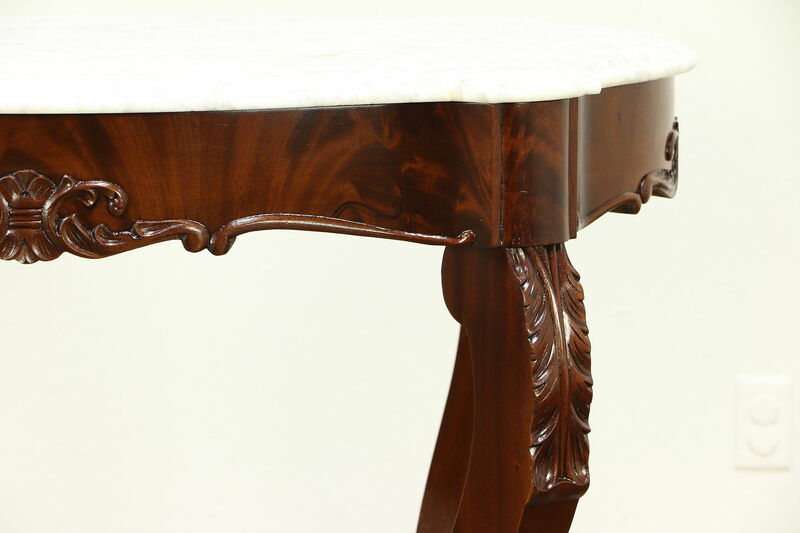 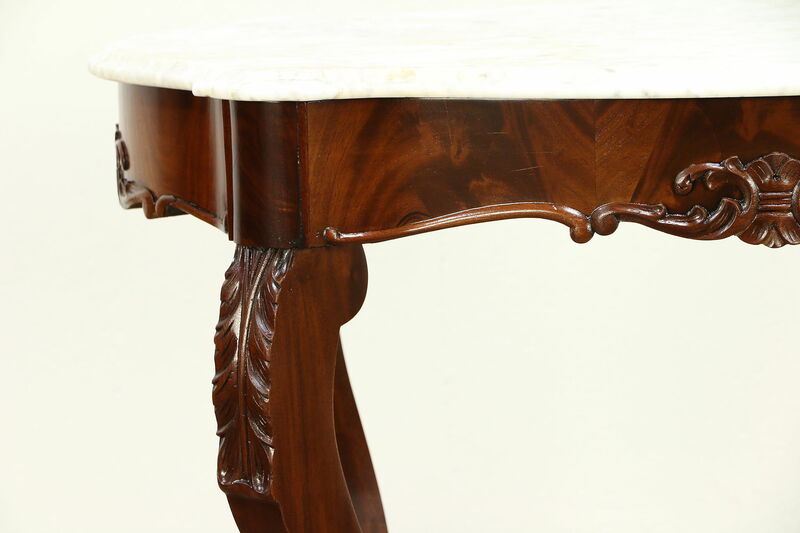 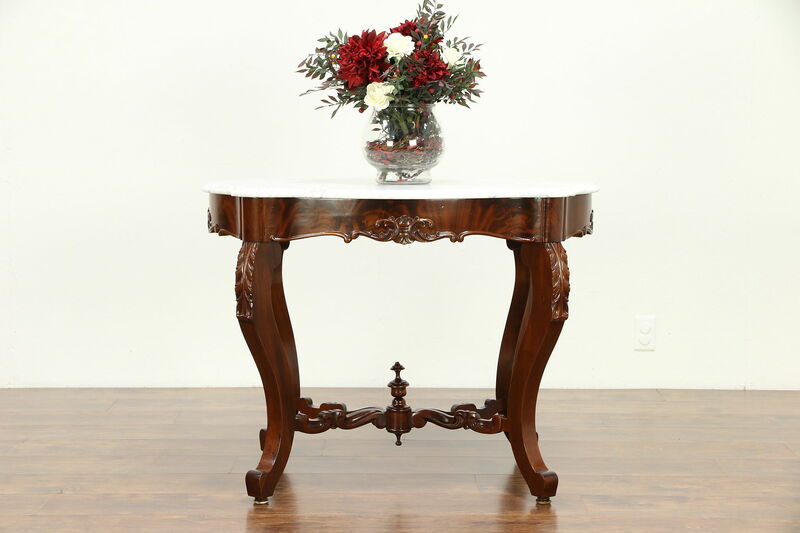 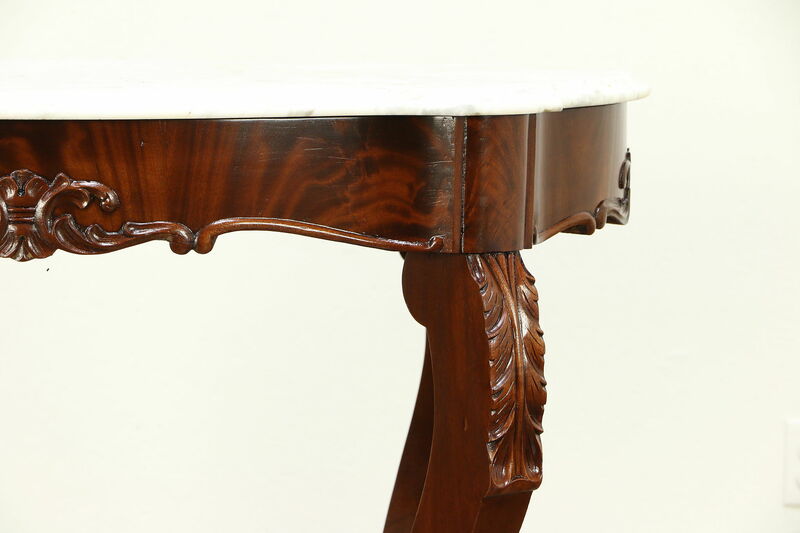 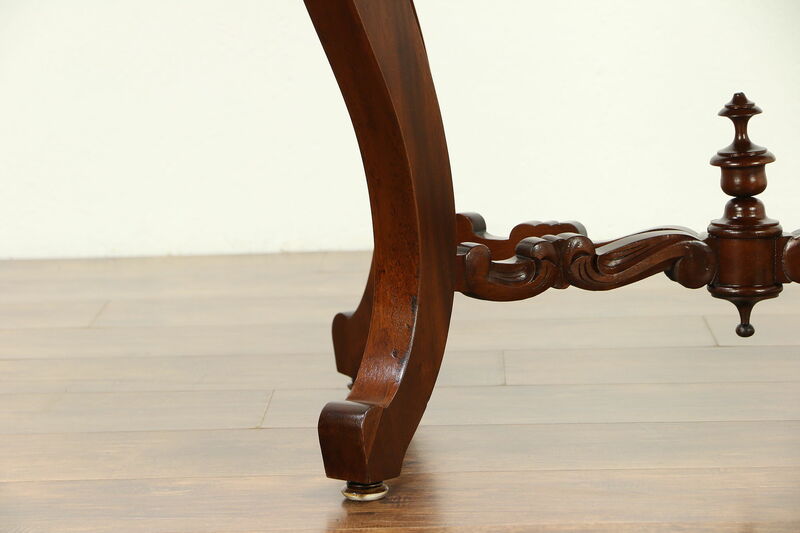 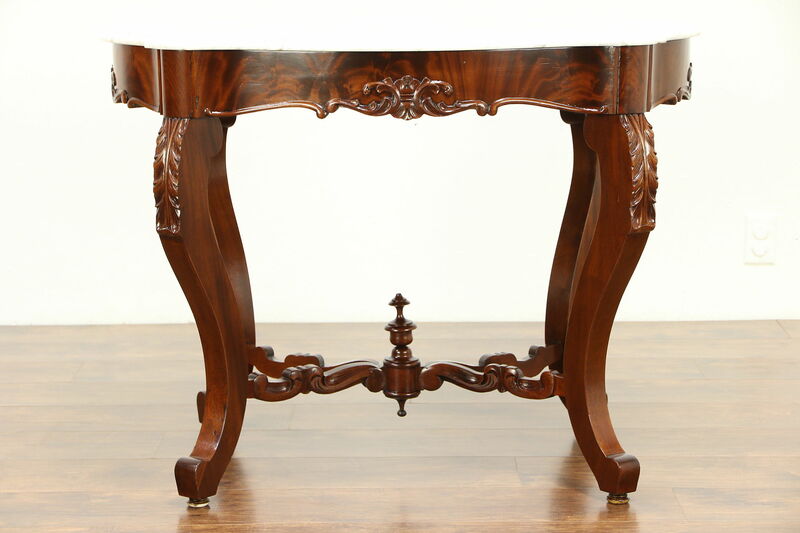 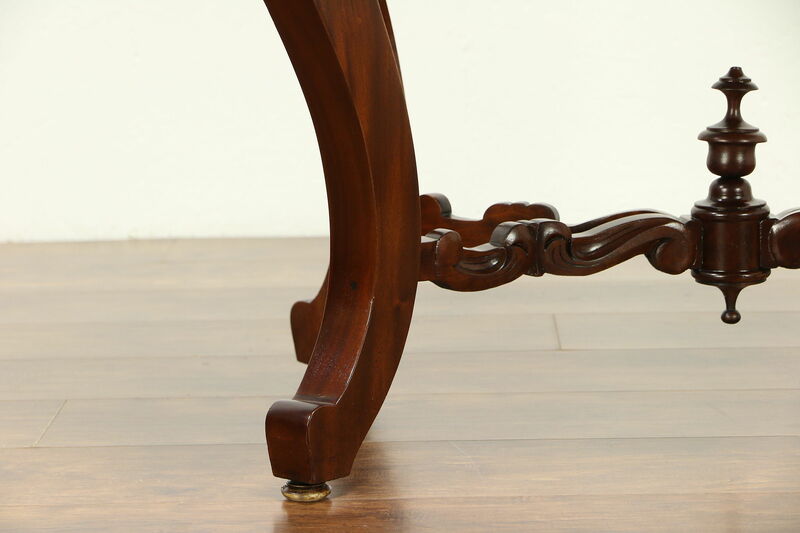 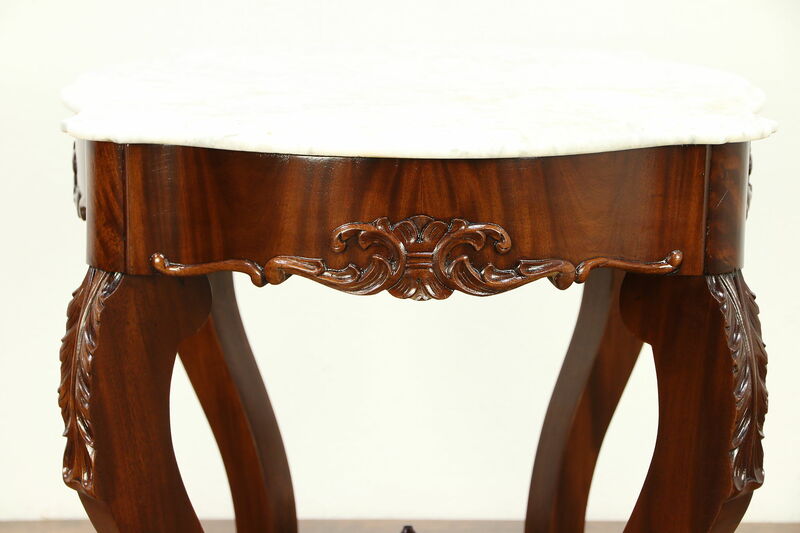 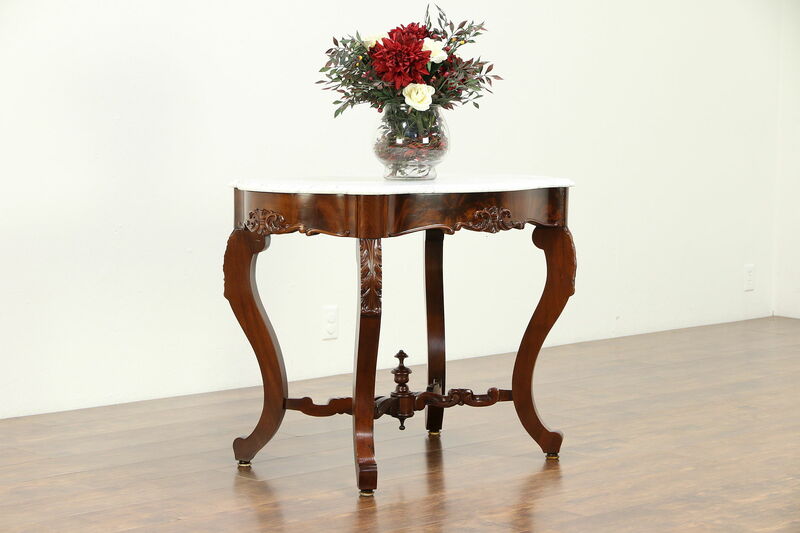 An early Victorian period "turtle top" shaped lamp or hall center table was hand carved of mahogany about 1845. 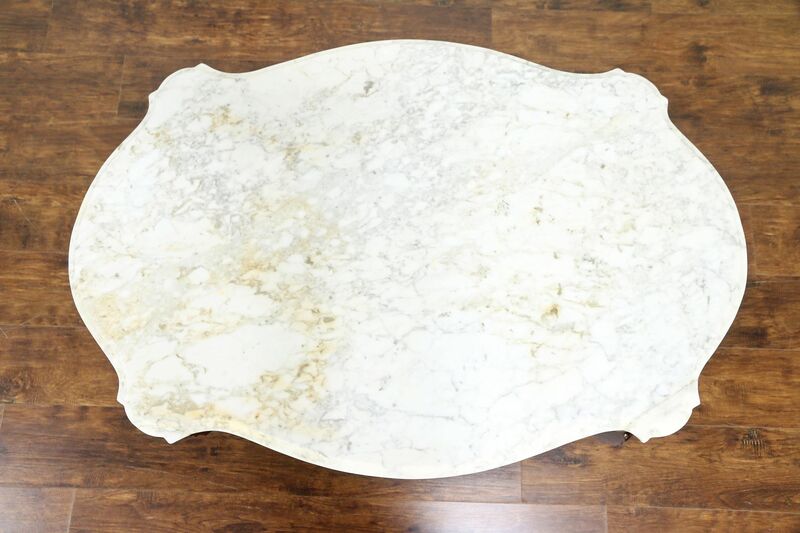 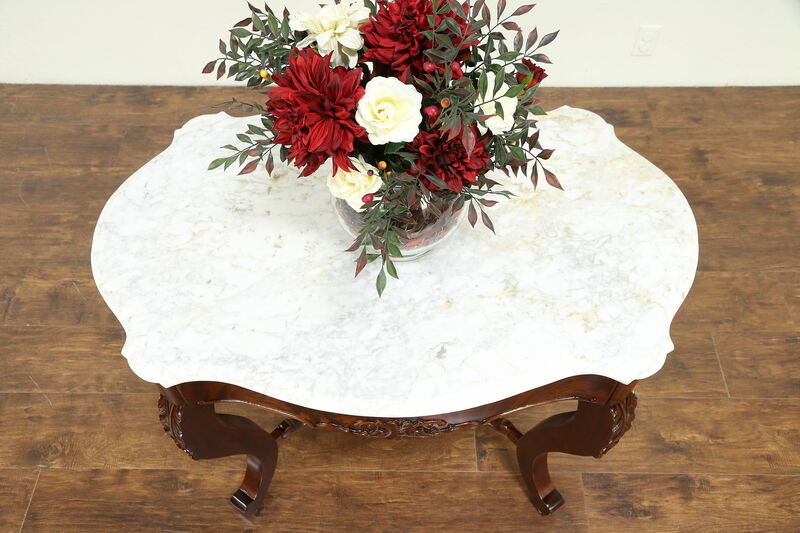 The original shaped marble has stains and an old repair, see photos, and has been polished and given a protective low luster finish. 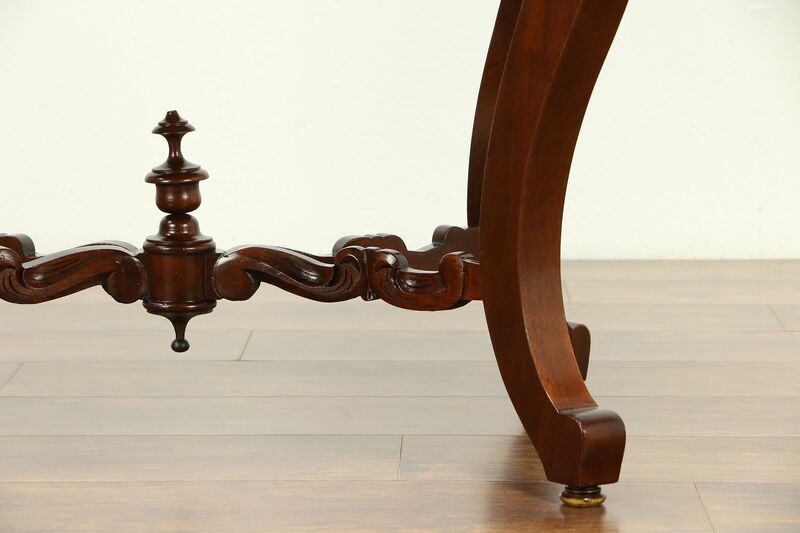 The frame has been reglued to serve another generation, the restored deep finish is in excellent condition. 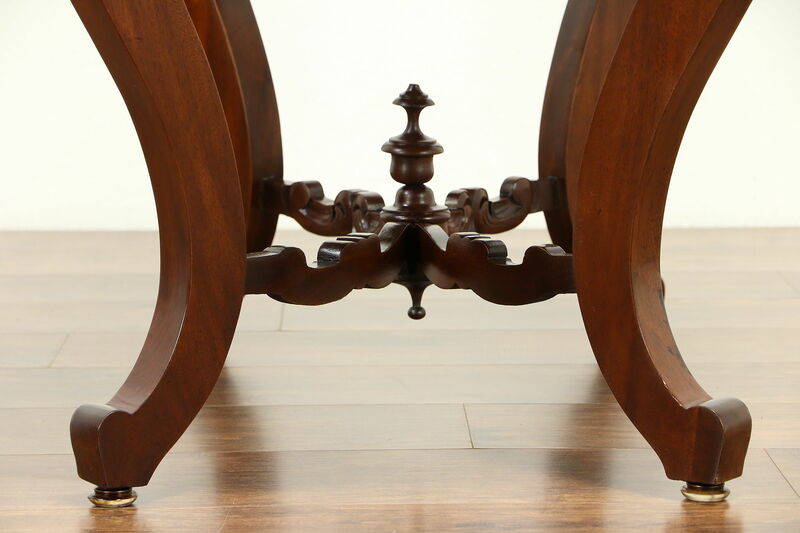 American made, the trestle base has a center finial. 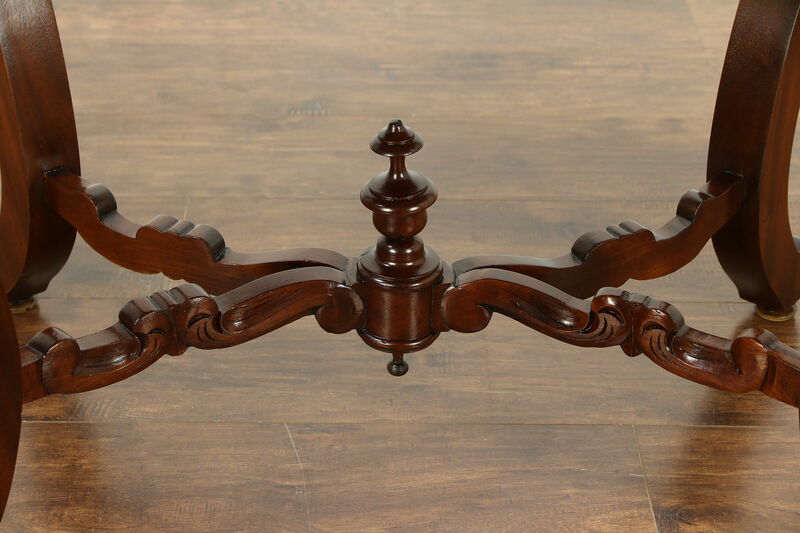 Size is 39 1/2" long, 26 1/2" wide and 30" tall.